25th – 26th August is International Bat Night! 2012 is the Year of the Bat – a global awareness raising initiative and Saturday August 25th to Sunday the 26th is International Bat Night! Since 1994, WFN has awarded £350,000 in funding to support some amazing bat conservation projects around the world and, in keeping with the Year of the Bat, WFN again presented Awards to two bat conservationists at this year’s Whitley Awards Ceremony. Bernal Rodrgiuez Herrera is being supported in his efforts to create a cooperative regional strategy for bat conservation across Central America, whilst Year of the Bat Ambassador, Rodrigo Medellin, has been presented with the Whitley Gold Award in recognition of his work to revolutionise bat conservation across Latin America, since winning his first Whitley Award in 2004. 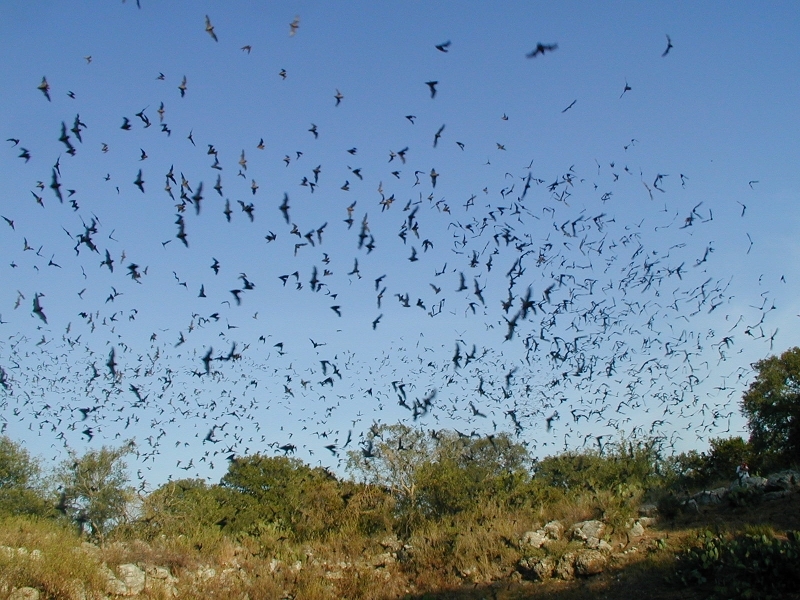 Both Rodrigo and Bernal are members of the the Latin American Bat Conservation Network (RELCOM), along with 2007 Whitley Award winner Luis Aguirre. Throughout 2011 and into 2012, Luis, Rodrigo and Bernal have been training 30 students from 15 countries in bat conservation and management methods, whilst Luis and Rodrigo have also led development of a new concept for managing and conserving bats – Important Bat Conservation Areas (or Áreas Importantes para la Conservación de Murciélagos – AICOMs). This is a new tool for bat conservation that RELCOM are developing in Latin America. Backed by scientific research, they are engaging governments to adopt this concept, which supports locally-led conservation in Protected Areas. Following discussions with the US NGO, Bat Conservation International, they now hope to expand their successful model to bat populations around the globe. In Europe, WFN has also helped Igor Prokofyev to establish Russia ‘s first movement for bat conservation as well as Daniela Hamidovic‘s project to protect the vulnerable long-fingered bat and its cave habitats in Croatia. WFN has also supported Lizette Siles in Bolivia and Richard Jenkins in Madagascar for their work to educate local people about the important ecosystem services that bats provide.